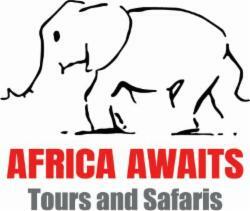 The SATSA logo is your assurance of quality tourism services in southern Africa. It testifies to the fact that the bearer has complied with stringent membership requirements that include annual compliance checks on financial stability, legal registration requirements, appropriate insurance cover and the highest standards of safety, security and service. Before being accredited, SATSA members must conform to a strict Code of Conduct, thus guaranteeing the highest standards of service and quality. SATSA member accreditation is checked annually. SATSA members are Bonded with third party indemnity, ensuring financial peace of mind. SATSA members offer a huge range of activities, accommodation and transport to meet all needs. You can search for a SATSA member on this website to meet your needs and be sure of the highest industry standards for yourself as a traveller, or for your clients. SATSA is a member-driven, non-profit association representing the private sector. SATSA offers the inbound tourism industry unequalled opportunities for networking. SATSA members have to conform to the highest standards in the tourism industry, which are checked annually. SATSA members are bonded, providing a financial guarantee of deposits held against the involuntary liquidation of a SATSA member. The SATSA logo is a guarantee to travellers of quality in tourism, and is highly prized. SATSA has a daily impact on tourism in Southern Africa through its lobbying activities.